Urbano is London's leading independent business networking community, connecting companies of all sizes and sectors in London, the UK and beyond. Our growing network is made up of over 5,000 Members and Associates, from PLC to SMEs, across our business Communities: Build, Media, Finance, People, Host, Tech, and UWACTE. Fore more information about Urbano, it's history and principles, please read on. These value exchanges are different for each company and individual - and are always changing. It may be the need for a new contract for one, or a critical piece of advice for another. It may be finding the right talent to take a company into a new area, or the funding to turn an idea into a viable product. Value can change over time and something that may seem worthless becomes invaluable only with the benefit of hindsight. Read more further below. For over fifteen years Mark ran his own creative agency called Talent Lab Ltd. As Creative Director and MD of Talent Lab, Mark worked with a variety of clients, from PLCs to SMEs, on branding, marketing and communication projects. For more information on Talent Lab, click here: Talent Lab. His projects have included creating and developing Business Junction before creating Urbano Network and, more recently Brialto - an online business network platform set for launch in Quarter 2 2018. He trained as a theatre director and use the disciplines of theatre in his work as a consultant (and to a certain extent Urbano). 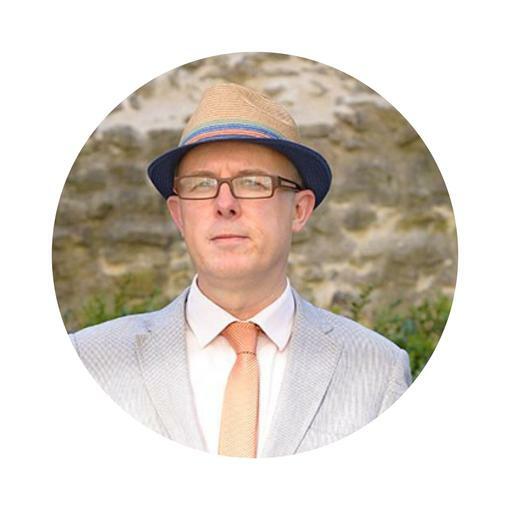 As a consultant, Mark has helped clients in the professional and service sectors with their branding, marketing and communication strategies. increasingly networking strategies, helping them deliver bottom-line growth. These have included a £1M+ brand development programme, marketing/brand skills workshops, presentation training, script writing and directing of corporate videos, event hosting and even comedy. Having been associated with Shoreditch for 12 years and before that Spitalfields. He has developed a Strategic Masterclass and training package that helps addresses networking as a seamless part of the marketing mix, having delivered 1,000 events and facilitated connections between thousands of people and companies. Mark has many interests – music, cricket, cooking, films – and all things Spanish having lived in Barcelona for four years. He is the primary Event Host at Urbano networking events supported by our fantastic roster of Event Hosts (see details below) and our small team of Event Assistants. Caroline is the operations lead for memberships, sponsorship, marketing and advertising at Urbano. She also prepares the weekly tender digest giving members access to relevant open public tenders and opportunities within the network with supporting advice and facilitation for consortia/partnering. This builds on her previous marketing and work winning lead experience with roles held in the build/engineering sectors (more recently AECOM). Previous marketing experience includes projects for FirstGroup plc, Royal Mail, Alcatel and international event planning for the World Health Organisation. 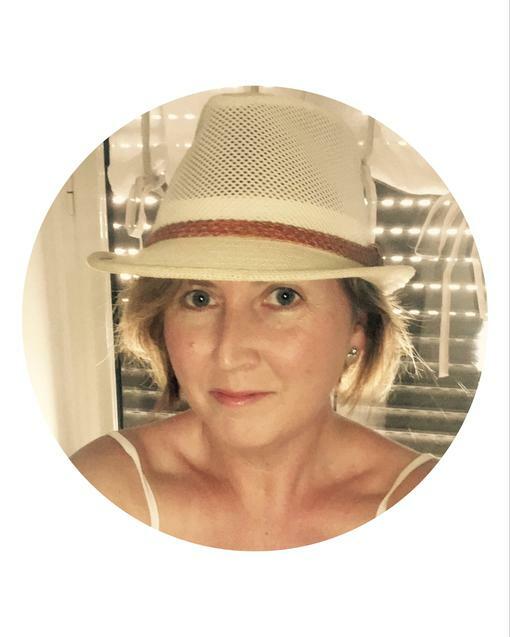 You won’t see Caroline at many events as she makes sure the hub rubs smoothly, ensuring responses to any queries you have by email, phone or through the website. She also coordinates and monitors our back-up team of tech and data assistants. We are proud to have established relationships with the following key event hosts and long term supporters of Urbano. Their individual experience in events management, executive management and extensive connections – and the fact that they are just lovely, helpful and fun individuals – make them the ideal Urbano network hosts. Sorcha is a producer, artist manager and performer, and understands the importance that corporate event organisers place on planning an event that runs smoothly and makes their audience go “wow!” Her company specialises in circus, cabaret and walkabout acts making her your ideal partner in creating a memorable event for your client. 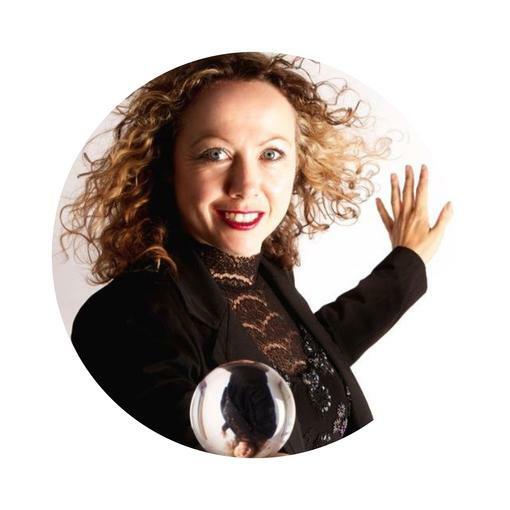 With 15 years of experience at more than 2000 events, she has built up an extensive database of performers she knows how to engage and entertain guests right from the start! 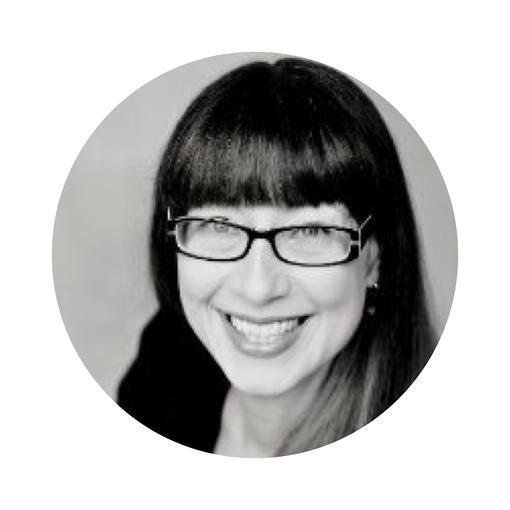 Caroline works with start-up founders and small business owners who have 1-10 employees, work virtually and only require part time PA/EA services. Her extensive network of contacts including graphic/web designers, space planners, interior designers, architects, florists, stylists, travel agents, chefs, make-up artists, musicians and photographers. She also has exclusive access to hospitality packages including the o2, the Royal Albert Hall, football, rugby, tennis, horse racing, back stage and VIP packages. Urbano believes in putting a diverse range of companies and people in a room and helping start conversations between all present which are facilitated online through Urbano's unique Event and Network Groups. So, a contact becomes a connection, and this connection can be the catalyst to a hundred opportunities to build more connections, find new clients and suppliers, source critical information, investment, ideas and leads to growing community of ‘open’ business people and businesses. Urbano has a rolling monthly networking and business event calendar, with networking events held every week, including at least one networking lunch and an evening event each month, held at London’s best restaurants, hotels and clubs. Urbano also hosts two (sometimes three) speaker events each month, usually breakfasts, across a range of interests and sectors, featuring brilliant guest speakers, all experienced experts in their sector or speciality, and who address themes pertinent to a business audience. These events fall under one or more of Urbano’s Communities: Business, Finance, People, Build, Media, Host, Technology and UWACTE (Urbano Women in Architecture Construction Technology & Engineering). Urbano speakers have included board directors from Google, Bupa, Marks & Spencer, Fujitsu, O2, and Crisis; successful entrepreneurs like Nicola Horlick, Lucinda Bruce-Gardyne, Lara Morgan, Ben Heald and Pauline Bickerton; sector innovators like Kevin McCloud, Wayne Hemingway, Stephen Hodder (RIBA President), and Darren Westlake (CEO-Crowdcube) and senior figures like Spencer Dale (Chief Economist to the Bank of England), John Whiting, Tax Director of the Office of Tax Simplification and Professor Charles Spence (cross-modal sensory perception). "Having attended many networking events with guest speakers I found this Urbano event to be one of the best and most interesting. The speaker was brilliant and the networking was friendly and relaxed." "We listed our seminar about search engine optimisation with Urbano Notices, not expecting a great deal of response - but within 1 hour of the notice going live, we'd sold 20% of the entire available tickets. Quite unbelievable considering we can upload our events and send invites completely free as part of our membership. And the people who saw the notices (London business-owners and managers who like networking) were exactly the type of people we wanted to attract. A really useful service - thanks Urbano!" "As a fast growing, young company, it is important for to keep growing rapidly by active participation in London and Urbano is an efficient way to expand our network through personal introduction. Urbano has helped us to understand new possibilities (such as meeting the UK’s crowd-funding exponent, Darren Westlake of CrowdCube); and to meet service providers who can adjust their service to our budget. Through Urbano, we met and selected our new SEO specialist, Advantec Internet (www.advantec-internet.co.uk). We know SEO is very important for our business. Without Urbano, it would have taken us much longer to find a professional firm such as Advantec who combined the necessary competence and budgetary flexibility. We appreciate particularly how Urbano offers different events for different areas of expertise. Urbano Host is a key network for our business development. The introduction to hotel group, Grange Hotels (www.grangehotels.com) through an Urbano Host event, for instance has the potential to be very interesting for us." "Mark invited me to talk at an Urbano event and I am delighted that I agreed to do so. The edgy Hoxton Apprentice venue was jam packed with like-minded dynamic individuals networking, sharing ideas and fostering mutually beneficial business opportunities. I met some incredibly interesting people from a number of diverse sectors who I very much look forward to working with in the future." Lucinda Bruce-Gardyne, Founder of Genius Foods Ltd.
“On my second Urbano networking event, I met a typical ‘Urbano’ attendee - a business owner of a growth company. Within six days of meeting them, they had placed £24,000 worth of business with us. I am on target to see more than £100k's worth of business in my first year of membership due to the kind of contacts Urbano attracts. I’m a member of many networking organisations, and many of them are full of the ‘usual suspects’. Urbano is different. It has a different kind of member – keen to network of course, but keen to actually do business too. "After shopping around a few networking groups, I felt right at home with Urbano. The atmosphere was fun, yet professional and I instantly felt it was a place where I could share ideas, get some advice, and meet like minded business professionals. As a specialist recruited, finding those ‘Perfect’ candidates are one of the toughest parts of my role, and I am happy to say that I met one of those ‘Perfect’ candidates at an Urbano People brakfast on my first visit! I am happy to say she is now well on her way to very successful career in a fast paced, growing, high profile London based SME. We have also now joined! Thank you Urbano!" "It was a pleasure to attend the event and to hear about the issues of businesses in London first hand. It was an excellent networking event and I was very pleased to be able to have so many one on one conversations on some very different but equally important issues. It was a very helpful event for me and informed my thinking on the policy issues I am raising with ministers." "After being apprehensive about attending another networking event, I found that after my first Urbano lunch they offered a much more relaxed approach to business. The members and other attendees were friendly, and I came away feeling really pleased that I’d made the effort to go. Since then I have received several emails from people I met on the day with an interest of coming to Franco’s. I’m already looking forward to my next one!" "I've been to two of Urbano's 'Build' breakfast sessions and been impressed both by the quality of the guest speakers and by the attendees. The man behind it is Mark Herring - a real live wire. I think he's put together a really intelligent networking proposition with Urbano and it does feel distinctly different and grown up." "As a result of attending an Urbano Networking lunch, I met with a Business IT support company who referred me to one of his clients looking to move office. We are now currently on-site fitting out the office space for them and will be installing the furniture later next week. I am delighted to have joined Urbano and have met some brilliant people whom I continue to work with. I especially enjoy my sectors' breakfast events (Urbano Build). The speakers are always interesting - I found Mark Bew’s presentation for instance last week on BIM very interesting - but it is the mix of audience from around my sector that give me so many opportunities for my company. Keep up the excellent work!" "I was a guest speaker at an Urbano People breakfast. It was great to speak to an audience who were both knowledgable about and engaged in the subject, unafraid to ask questions and keen to pick up the threads afterwards. Convivial and focused networking in a relaxed setting." "Mark, as always a pleasure to see you again at another great Urbano Networking event. You amaze me with your ability to connect people, remember their names and seek value through potential business partnerships and opportunities for Urbano members. I also appreciate the extra time you spent with me after the event to discuss Ginicam ." "My company specialises in providing security services and personnel. I went to my first Urbano event just before Christmas and was impressed by the mix of businesses in one room. I have since become a member and now regularly enjoy the mixture of cross-sector business breakfasts that provide a range of suitable businesses and sectors that I wish to target, such as Urbano Host which is a brilliant source of venue managers but also Urbano Business and Urbano Finance events which give me access to speakers and other attendees who can help advise me on ways of growing my business. I also enjoy Urbano's networking lunches and evening events where the emphasis is on making connections in a relaxed and convivial atmosphere. It’s been well worth a couple of quid to extend my network so greatly in such a short space of time and the advice I have received and the new business contacts have been priceless!" "Urbano offers informal, lively, facilitated networking , where you will meet a wide variety of London entreprenuers and business owners. There is no pressure, no formal referrals, but people meet new customers, suppliers and contacts in a relaxed environment. We've made several excellent contacts for our business already ,and have no doubt this will lead to business opportunities for us, and for our customers too." [On Urbano People] "Intimate group networking of interesting like-minded professionals, with a great informative presentation and without any in-your-face selling. I'll definitely be back." "I have a lot of time for Urbano, especially the Urbano Build network. They have a philosophy of "exchanging value" that I find rather empowering. Urbano, run by the redoubtable Mark Herring, offers a safe facilitating vehicle brokering for opportunities for smaller companies to get involved, both with each other, and with larger partners. They champion the cause of the smaller, quality suppliers, especially in areas such as BIM, design and new technologies. I always learn something of real value when I'm with them. The companies Urbano brings together are real entrepreneurs - a creative and energising lot to be with." "I would like to say thank you for yet another excellent networking event from Urbano. The venue was excellent and the mix in the group of attendees was diverse and interesting. There were not too many to be impersonal and superficial but enough people to ensure energy levels were high. Everyone I met was serious about their business but also happy to be lighthearted at the end of a working day and it made for an enjoyable and productive evening. I made some good contacts on which to now build and linked up with some longstanding ones too. The ability to network through the site and not have to worry about business cards is a great bonus."